How soon and far the country asserts the truth will decide its fate. The first strand has no relation to reality, while the other two distort fragments of truth. The 2016 National Family Health Survey shows that polygamy exists only among a minuscule fraction – 0.66% – of married Muslim men, and to almost an equal extent among Hindu men, 0.45%. The census meanwhile reveals that far fewer Muslim women than Hindu women have more than five children. In the 2011 tally of women who had children in the preceding year, some 47,000 Muslim women had more than five children compared with the 1.2 million Hindu women. Those who push the hum-paanch-hamare-pachees myth fail to disclose that only some Muslim women have five children, that far more Hindu women have more than five children, and that the reason for why some women have higher fertility rate is not a religious norm but, as studies have pointed out, illiteracy and poverty (In short, it is largely due to policy failures). At higher levels of education and living standards, both Hindu and Muslim women have about two children. Source: National Family Health Survey, 2016. Note: Economic background uses the NFHS wealth index. To appraise the third strand, of ‘love jihad’, we need – but do not have – systematic data on inter-religious marriages in the country. However, its veracity can be probed with census data. The graph below compares the number of girls aged between five and 24 in the 2001 census to the number of young women between the ages 15 and 34 a decade later in the 2011 census. That is, the graph tracks girls over a ten-year period, as they become young women. If “countless Hindu girls” had converted to Islam, then the number of young Hindu women in the 2011 census should have declined relative to their number in the 2001 census, and the number of young Muslim women should have registered a concomitant increase. Looking at the graph, it does not take any great powers of deduction to figure out the falsity of the ‘love jihad’ claim. 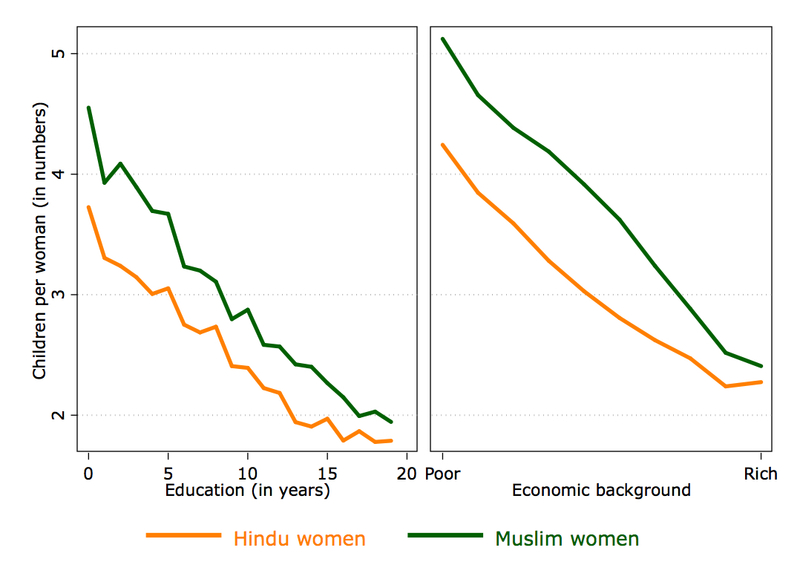 Both Hindus and Muslims show decline in the number of young women, with a sharper drop in the minority group. Source: Census of India, 2001, 2011. In fact there are fewer young women in 2011 relative to girls ten years ago in all religions, perhaps due to childhood mortality, migration abroad, or a decision not to be listed under any faith in the census as did about half a million young women. 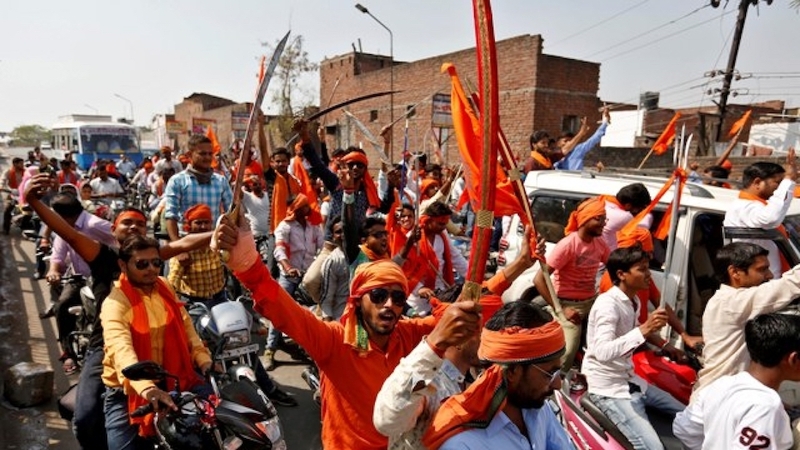 There is no denying that young Indians marry out of love and change religious affiliation, including young Hindu women converting to Islam after marriage. But to spin and spread a story about ‘love jihad’ that will turn India into “a Muslim-majority nation” is indefensible. Yet the spate of anti-Muslim violence suggests that the veracity of these stories hardly matters; normal ordinary people will give into assertive falsehoods. The Hindu man, who hacked and burned a Muslim in Rajasthan, is in jail and, even as he awaits trial, making Islamophobic videos. With poisonous falsehoods spreading unchecked in the body politic, many more Indians will go mad with religious hatred. Emphatically and systematically, truth too must be proclaimed for India to realize its civilisational yearning for asato mā sad gamaya (progressing from falsity to truth). 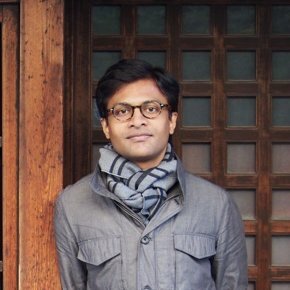 Anoop Sadanandan is a social scientist and author of Why Democracy Deepens. He tweets at @SadanandanAnoop.